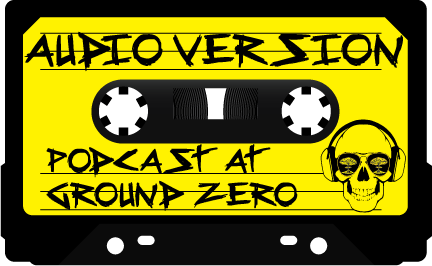 For the 31st episode of Podcast at Ground Zero the topic will be Apocalypse Music. More specifically we are going to music that was written about or has an Apocalypse theme. Also we will discuss how people will listen to or create music after the Apocalypse. So join Scott, Doug, Brian and I on our trek thru the Cursed Earth we think you’ll enjoy the company. Clutch, Sybreed and 30 Seconds to Mars come to mind.